🙋Hi! I’m Happy You are Here. Woot! I’m Very Excited (and honestly, still fighting some FearFullness) because I have taken on the #write31days Blogging Series Challenge started by The Nester and am Joining over 1200 Bloggers from all over the World! We are Linking Up ~> Here. Gulp… This is my First Time doing any type of Linked Posting Thing. The Idea of being able to Search through One Place for So Many Blogs by Amazingly BeautyFull Writers is…well, So Cool! So, I’m Ready! How about You?! Yes! Good!! Let the Adventure Begin! I pray that, throughout October, as You come back to Read about the Who, What, When, Where, How & even the Why of the EnCourage that has Blossomed in My Life, You will be EnCouraged by God’s FaithFullness to me & my Family through Life Hitting us From Behind & through Simple Memory-Moments. I Hope that You will Discover some EnCourage in Your Life as well! Together, We Can Live Philippians 4:13 as we Give and Receive Encouragement on the Journey. I Want to Hear what You are Discovering in Your Life as We Take this Journey Together. When was this? Yesterday or Years Ago? Where were you in the Seasons of your Life? How was it a ‘Big Deal’ or a ‘Subtle Gesture’? 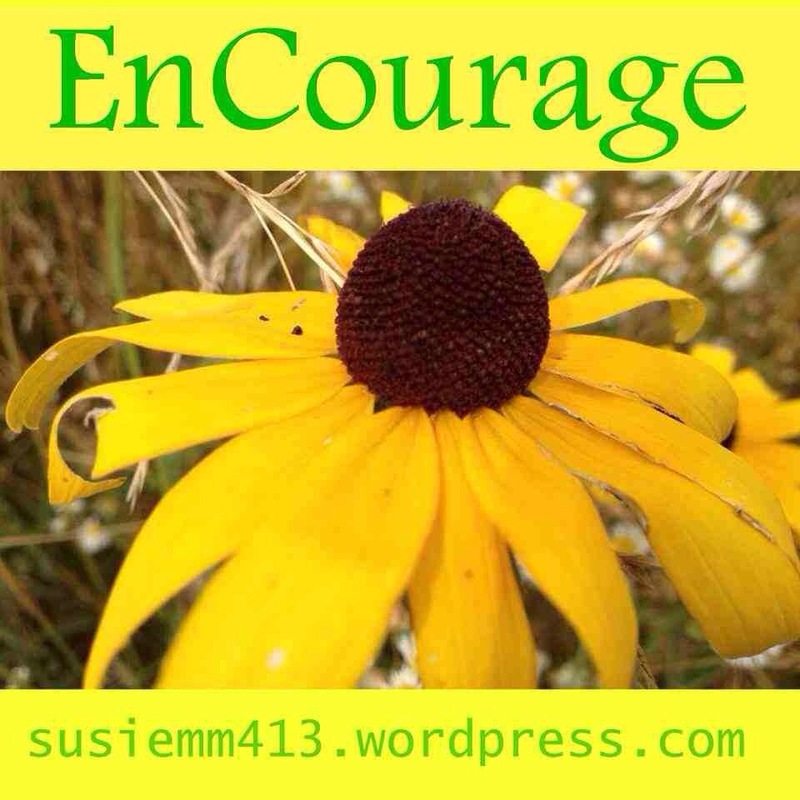 Why do you think You were You Changed after your Experience with EnCourage? This entry was posted in Christian LIving, Encouragement, Faith, Prayer and tagged Encourage, Faith, My Story, write31days. Bookmark the permalink. Hi Susie! I was very glad to come across your Blog at the 31 Day Linkup. I love to encourage too. I read your about page and I am thankful God has spared you to do mighty things through you. I am the survivor of loosing my only child. It is something that re-set the course of my life, yet has given many opportunites to give God the glory. Come visit over at cathyzpeek.com. Sorry, I thought I had replied to your sweet Comments already. Thank You for coming over to visit. I looked at your Blog but don’t remember if I commented! So, great time to re-visit and read your latest Heart-Words. I do love that God brings His Daughters together through even the worst of life’s tragedy’s and Creates Good Things though Opportunities to give Him the Glory. Thanks again for stopping by, reading and sharing your thoughts here.